On June the 23rd, the world avidly watched as the polls were counted — would the UK exit or remain in the EU? 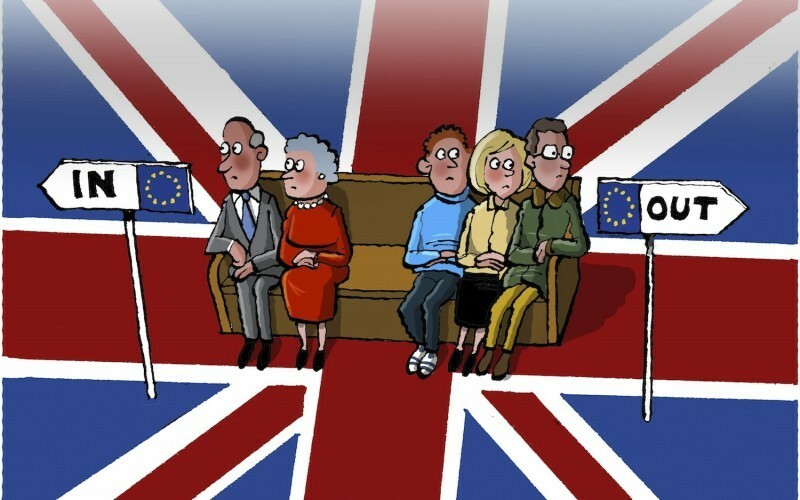 With a result of 51.9% of the votes to exit and 48.1% to remain, the aftermath of the UK’s decision was overwhelmed with questions. What will the new reality constitute? In particular, what will this mean for the United Kingdom’s healthcare? The UK’s National Health Services works as a single-payer system. Medical transactions are between the provider and the government, void of the patient. England’s NHS is the oldest single-payer system in the world. Medical check-ups and most treatments are free of charge. The NHS also provides free emergency treatment to patients from other EU countries. Residents of the EU or European Economic Association (EEA) may carry a European Health Insurance Card, which gives them access to state-provided medical care during their temporary stays at a reduced or free cost. Will the Brexit mean that valid European patients will find recent UK deals void or possibly more heavily restricted? On the flip side, will UK citizens outside of the UK in other EU and EEA countries also struggle to obtain health care? Countries such as New Zealand and Australia have negotiated travel agreements with the UK. Perhaps the UK will attempt something similar with the EU states. If such agreements are established with other EU countries, it could contrast to Pro-Brexiters’ views on another global negotiation. That is, the Transatlantic Trade and Investment Partnership (TTIP) proposing investment and trade agreements between the EU and the US. Supporters of the Brexit campaign believe the TTIP may cause risk to the NHS. The worry is that the UK may lose the ability to regulate the NHS independently and risk forced privatization. Pro-Brexiters highlighted the NHS’s importance in their Leave campaign. It was said that the EU costs the UK 350 million pounds per week and that leaving the EU would allow the redirection of these funds to improve the NHS. However, the statement was criticized as misleading by an independent statistics watchdog. They released a statement indicating that when all transactions between the EU and the UK are considered, the EU actually costs the UK 188 million pounds per week. Half of this returned money is intended for funding for farmers, research and infrastructure development. Leading Brexit figures are now suggesting that, in fact, a significantly smaller amount than implied in the Leave campaign will be given to the NHS. Chief Executive of the NHS, Simon Steven, stated that now is not the time for economic turmoil, which will disrupt important NHS progress. As the pound has plummeted by 12% compared to the US dollar, healthcare leaders grow increasingly concerned. Another promise made within the Leave campaign was to control mass immigration. Similar to the rhetoric currently being heard among the US Republican party, controlling mass immigration will supposedly help the cost of healthcare. Pro-Brexiters stated that the UK pays 773 million pounds per year to other EU countries for the treatment of UK nationals whereas it only receives back 51 million pounds per year treating EU nationals in the UK. Once again, this number was slightly misleading in its nature. It failed to convey explicitly that the 773 million pound sum also included UK pensioners in the EU and other costs. Recent studies from the University College of London estimated that migrants from EEA regions contributed 35% more to the UK’s economic system than they received. This is in part because the UK attracts young and skilled migrant workers. Supporters of the Remain campaign worry that Brexit may negatively impact medical research. In their view, a flow of people and ideas is necessary for growth. The isolationism that Brexit could bring may limit information sharing and detriment access to innovative treatments. This could decrease the development of pharmaceutical and biotechnology industry sectors. This fear has also been voiced by life-science leaders in the Association of the British Pharmaceutical Industry. Moreover, life-science industries may have to work with new tariffs and taxes. Fortunately, the regulatory approval for medical devices to the rest of Europe will likely remain unchanged via the CE marking process. Currently, the Medicines and Health-Care Products Regulatory Authority (MHRA) as a Competent Authority accredits such notified bodies. The European regulation process leaves premarket assessment of devices to Notified Bodies. The Competent Authority then regulates clinical trials and postmarket assessments. This leaves a number of problems for the MHRA. How can the MHRA continue anointing Notified Bodies? Alternate arrangements have been made for non-EU countries Norway and Switzerland. Therefore the MHRA losing its status as a European Competent Authority does not necessarily inhibit it from its current role in the CE marking system. However, as new procedures will undoubtedly be put in place over the next 2 years, current UK Notified Bodies may wish to relocate their headquarters elsewhere. MHRA is not large enough to conduct regulatory approvals as done by the Notified Bodies. While a unilateral recognition system such as Australia’s TGA is possible, MHRA’s influence will be diminished after UK’s exit from the EU. As has been explored in this article, the results of Brexit will be highly dependent on negotiations made within the next two years. Undoubtedly, there will be some big changes ahead for the UK with the hope that this decision will bring more benefits than detriments.